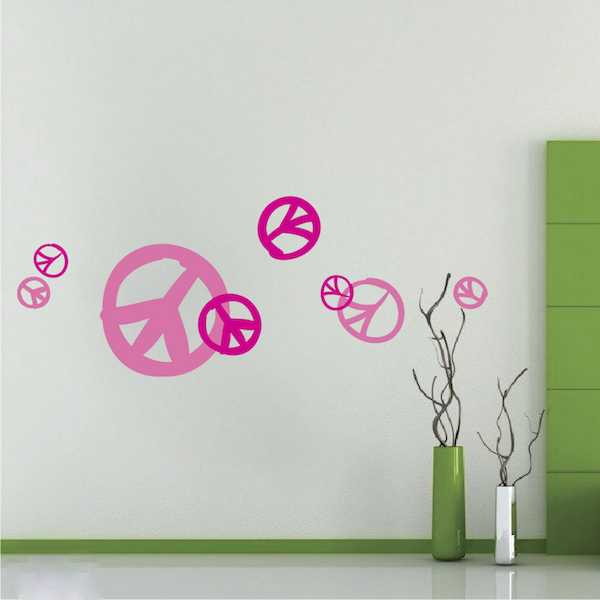 Get ready to hip it up with the new Peace Sign Wall Decals! 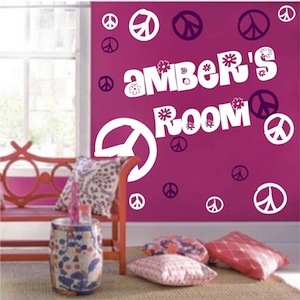 To get multiple color arrangements, place multiple orders of the same Peace Sign Wall Decals design pack in the colors of your choice and really mix it up! 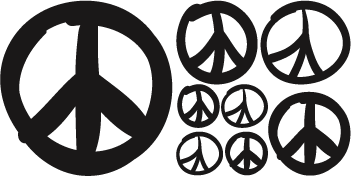 Each pack comes with 8 variously sized Peace Sign Wall Decals. The "name" option is available for purchase. 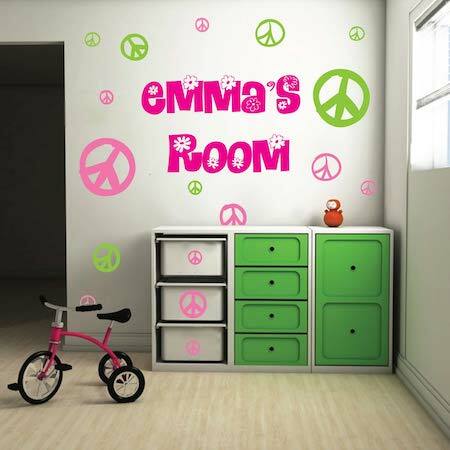 If you do NOT wish to purchase the name, simply leave it blank and add the size and color of the Peace Sign Wall Decals to your cart. 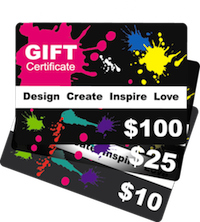 Click on "Colors" in the top, left of the tool bar above to see all color options for this product. Amazing decals! Easy to work with. Look great and fast shipping! Will buy from this site again! I got these for my daughters room (she loves peace signs) in a few different colors. Not only they look good they were a lot of fun to stick to the walls and her bathroom. She loves her room. Everyones happy.